Microsoft may release build 14980 or build 14981 to fast ring insiders this week. Currently, insider team is working on build 14982. 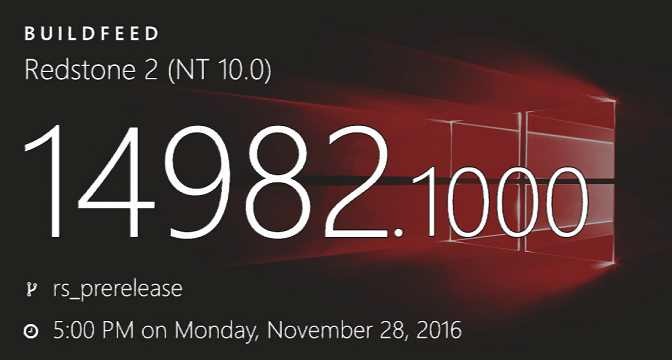 Windows 10 Creators Update (Redstone 2) build 14982 and mobile build 10.0.14982.1000 were compiled on November 28, 2016.